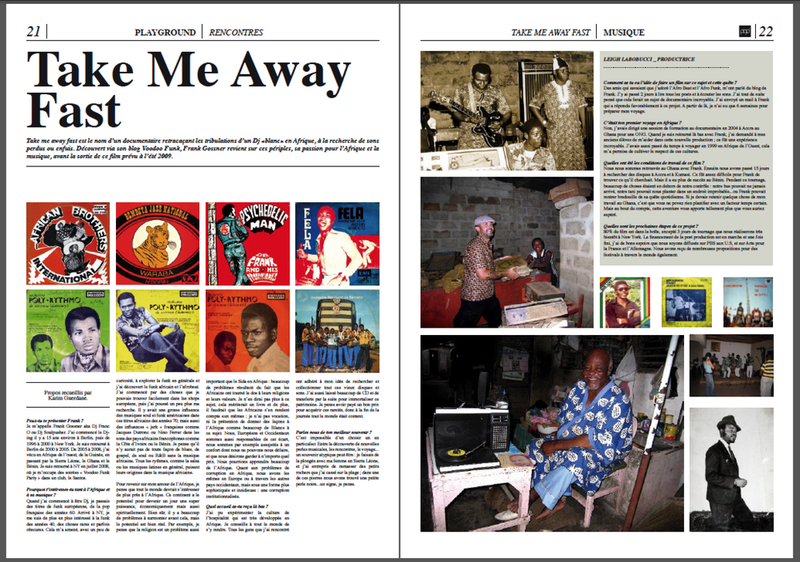 With the little money I made in Ghana, I asked the help of my Pigalle friends in Paris to create my own magazine. The model was to have some sort of Vice magazine where sports, culture and lifestyle would collide, always offering a strong point of view. We started to unsuccesfully shop the idea to different brands in order to get additional funding. But we encountered Karim Guerdane, a sports fanatic who offered us the paper as well as a distribution network. All we had to do was to use the name Playground he already owned but hadn’t used since 2002. We went ahead and accepted his offer. It took me three months of after-school work to create Playground magazine, with all the help from my friends; it became much clearer that the idea had potential. I used a lot of my own contacts, wrote the bulk of the articles and used all the assets I had from Ghana. Unfortunately, after the magazine was created, I was very much in debt, having rented out office spaces and such to assemble and allow the team to work in. Furthermore, the distribution company we were using only released the magazine through a selected art galleries network thinking it was a fine arts journal. In the end, we never did a follow-up because we lacked funds to pay for expenses. If I had to do it again today, I’d do it the same way, I learned so much during those months.